I recently got a pair of Hunter Wellies (matte black). They are thick, comfortable, stylish and liberating. Think about it, when you wear shoes in the rain there’s a fear of getting wet feet, when you wear shoes in the mud you know they are going to be ruined. You can stomp around in almost any dirty or wet environment and feel no remorse nor concern about ruining your boots. They are designed to get wet and dirty! Admittedly, it’s pretty enjoyable to wear them! Cleaning rain boots? They get cleaned all the time, don’t they? Sometimes I feel it tough to justify a car wash during the Spring or Fall, because I feel as though I get them for free in the rain. Then when I do cave, my car looks amazing and I make a mental note to remember how fab my car looks and that it does need to be properly washed and treated even though it is getting these free ‘in-between’ washes. 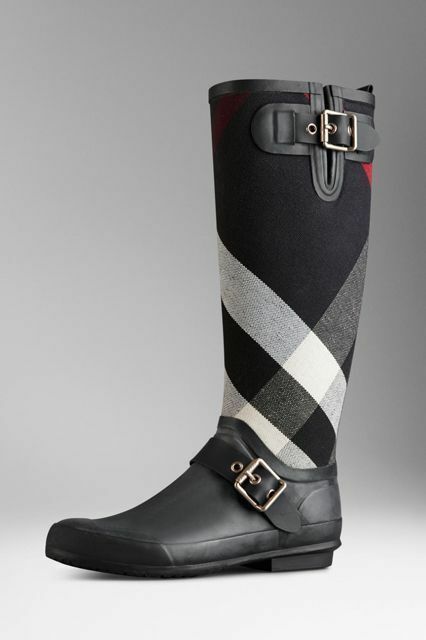 Hunter rain boots are the same way. Just because you wear them out in the rain doesn’t mean that they are continually being cleaned. They require special care! So, I’ve looked in to it and have created this blog post to explain the ins and outs of cleaning and caring for your Hunter Wellies. 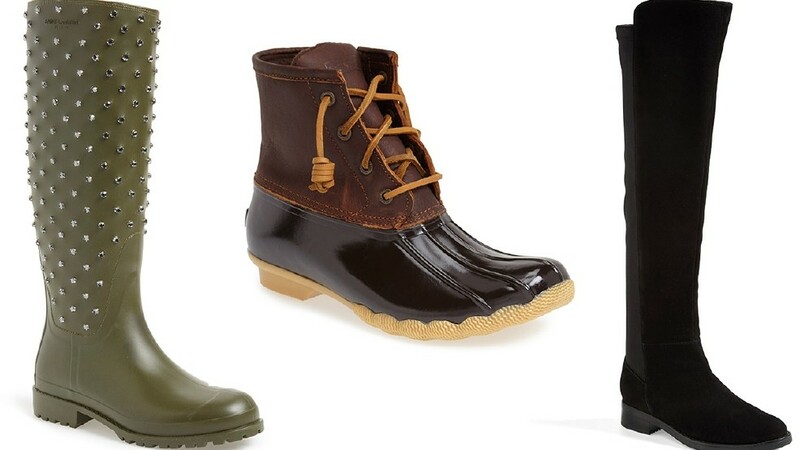 When I was purchasing mine, the lady at the shoe store brought me out a box of brand new Hunter boots and I couldn’t wait to try them on. To my dismay (and slight horror), the fresh pair she busted out looked they had been doused in baby powder. I mean they were just covered in white powdery streaks, they looked awful. It was like having not one fly, but a colony of flies in your soup. I requested that she bring me another pair although she did assure me these were brand new. I didn’t want anything to do with these defective boots (so I thought) and ensured I had a clean pair to take home. Relieved that I got away with the clean pair, I still purchased the Hunter Boot Buffer at the checkout (I’m so impulsive, I know). Upon researching the proper way to clean Hunter boots, I found out that this powdery coating is a very common occurrence with Hunter boots and something not to be feared. The chalkiness is known as blooming and is clearly explained on the Hunter website. 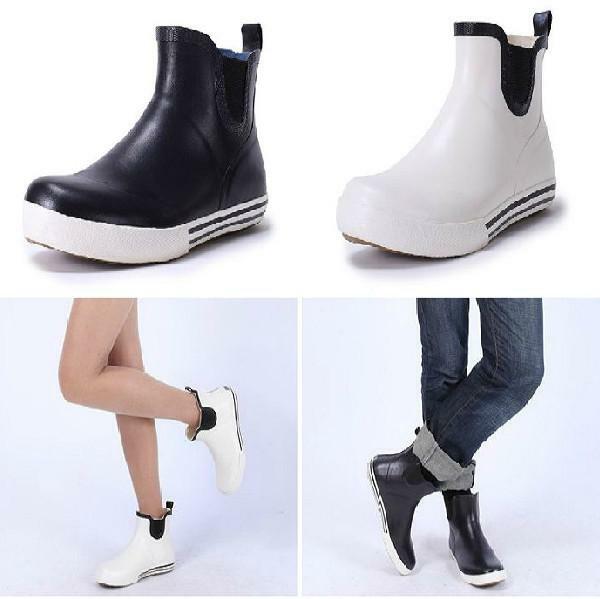 Occasionally, you may notice a white powdery “bloom” on your Hunter rubber footwear, this is because rubber is a natural product and in certain conditions, insoluble particles may rise to the surface. This is a normal process, characteristic of high quality, natural rubber and nothing to be concerned about. This process does not affect the performance or durability of your boots. A pristine finish and shine is easily restored with regular use of Hunter Boot Buffer, or Instant Boot Shine, available from good Hunter retailers, as well as from our online store. 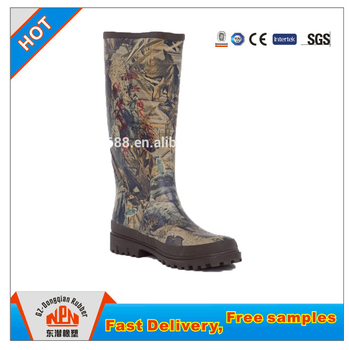 Hunter Boot Buffer is not suitable for use on footwear with a metallic finish. Right. The problem seems so simple and I think almost anything can be cleaned with a homemade remedy. But, I am curious about the Boot Buffer and glad I got it in the end (at minimum for comparison purposes). I think in this instance, Hunter knows their product best and has spent money researching the way to fight this blooming issue. Plus, these boots aren’t cheap and I’d like them to last me a while.I think I paid about for the cleaner. You may be wondering just what the conditions are that lead to blooming. Hot and humid weather is usually the cause for the release of this white coating. Quite simply, the boots should be cleaned with lukewarm water and dish soap (what I ofter refer to as a neutral cleaner) which tackles dirt without harming any surfaces. The Hunter website states to do this after each wear, which sounds pretty unrealistic to me. I’d recommend doing it maybe once a week or once every couple of weeks and of course more frequently depending on usage. 1) Clean rags (for wet and dry use) cut up tee shirts and old towels are perfect. Note: You can do this without the spray bottle, I just think it is more convenient this way. Add water to the spray bottle and then add the dish liquid. Close bottle and shake well. 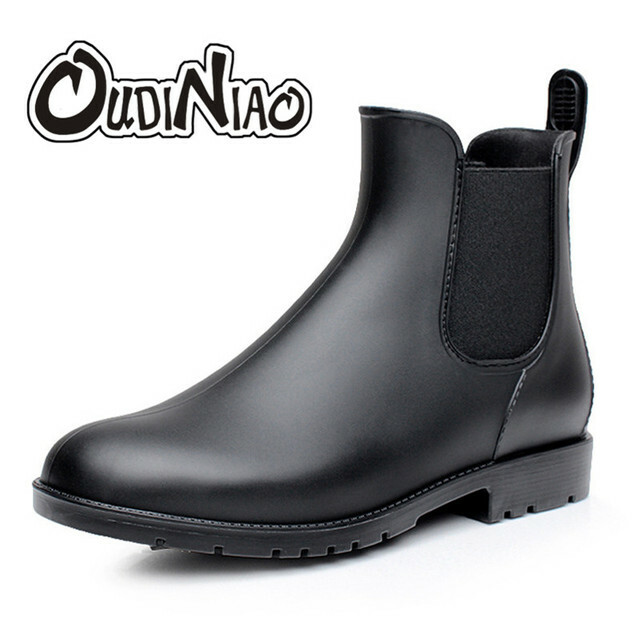 Gently spray the exterior of each boot being careful to not spray the interior. Let the solution sit for about 3 minutes and break the dirt down. Then, take a rag and start to wipe the dirt off. I always like to start at the top and work my way to the bottom. Ensure to get the soles of the boots clean too. If needed, these can be cleaned with a scrub brush and water. If you have zippered boots, clean dirt from the zippers using a gentle brushing motion (downward) to remove dirt form the zippers. Then, take a clean rag and begin to dry the boots off. Let them air dry; don’t place them directly in the sun and do not place them in the dryer. Heat can dry and age the rubber, which would lead to not only a shorter lifespan, but shrinking, cracking and deformation of the rubber. If you wish to shine them,use Hunter Boot Buffer. Apply by spraying solution onto clean, dry boots (hold the bottle at least 6 inches away to get good coverage) and wipe clean with a cloth (like you are buffing them). You can also use the Hunter Instant Boot Shine, which is a self-contained silicone-impregnated sponge which instantly restores shine to your leather and rubber boots. To use that, simply buff clean, dry boots in a circular motion with the sponge. I did not get the sponge since my boots are matte, however I’ve heard enough about it to know that it works well. There is an increased risk of slip with on-going sole wear. Exposure to solvents, oils and animal fats can swell the rubber, also increasing the risk of slip. Please note that Hunter Footwear contains natural latex rubber which some people may be allergic to. Some footwear and accessories with long trims are not suitable to be worn when near machinery. If your boots are scuffed, after cleaning them try using a clean pencil eraser to rub away the scuffs. Do this gently over one scuff and see if it works (it should). Wipe the eraser shavings away with a clean cloth and keep going until that one scuff is gone. If you are not having luck with this method and want to try something else, get out your non-gel toothpaste and put a dab on your finger. Gently rub that into the scuff and wipe clean. Rinse area with water and buff dry, your scuffs should be gone! Sometimes, the scuffs cannot be removed. They are the result of chafing from the boots being rubbed together (if you walk with your feet too close and your ankles touch). Those you just have to accept as part of wear and tear – I have not been able to figure out how to remove those marks! Now, what about an alternative boot cleaner? A lot of people either cannot access nor find Hunter care products at their retailer, so they’ve been looking for alternatives to blooming correction. While I have done extensive research and data collection on the topic, I have not tried any of these myself. However, from what I have heard they seem to work well. I found a very useful post on PurseBlog.Com which provided a wealth of information about the blooming issue. Here’s what I have ascertained from this post as some viable alternatives to Hunter care products. The first neat tip was to try some olive oil on a cloth (perhaps a teaspoon) and buff it into clean boots to remove the blooming. This has worked for some people, while others have said that the blooming returns the next day. The second tip people kept talking about was using tire cleaning products like Armor All spray or wipes (found in the car care department at a big box store). 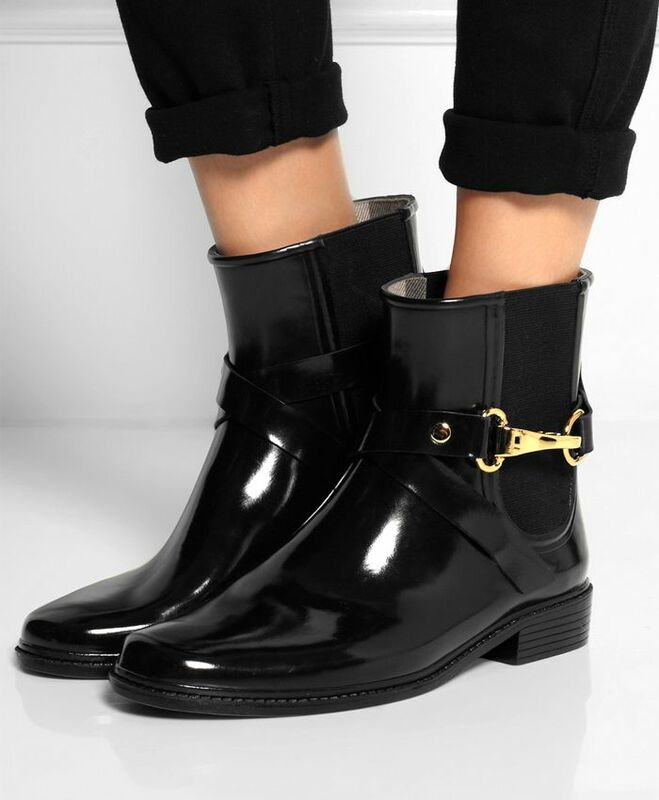 By gently spraying and buffing their boots, they’ve gotten a beautiful, bloom-free shine. Finally, a product called Mcnett UV Tech was continually recommended. This is a product that is designed to protect all kinds of natural and synthetic materials from the elements and restoring their natural shine. 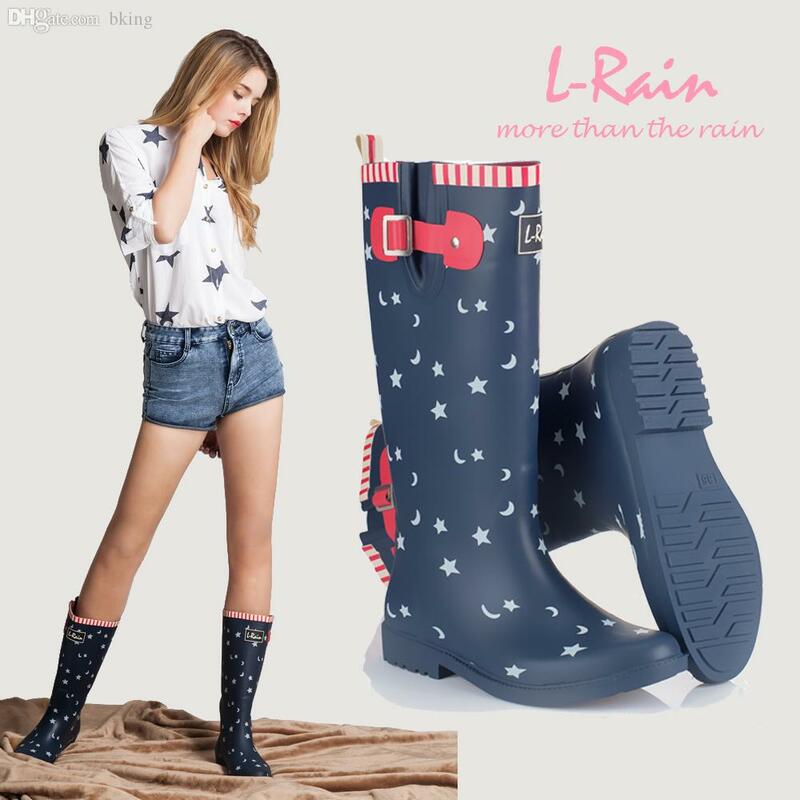 People have raved about this product for Hunter boot shining as well, so it would be worth trying if you wanted to purchase something that would maintain other household and leisure items (it’s a multipurpose product). Now, Hunter does warn against this (like any good company that wants to avoid liability would), but the people have spoken so you can make your own call. I’ve spent good money on mine so I don’t want to risk anything, however if I didn’t have the option to purchase their boot cleaner, I’d certainly try one of these alternatives. Firstly, always wear a sock with your boots. Socks are designed to absorb odour and moisture, so do keep this in mind. 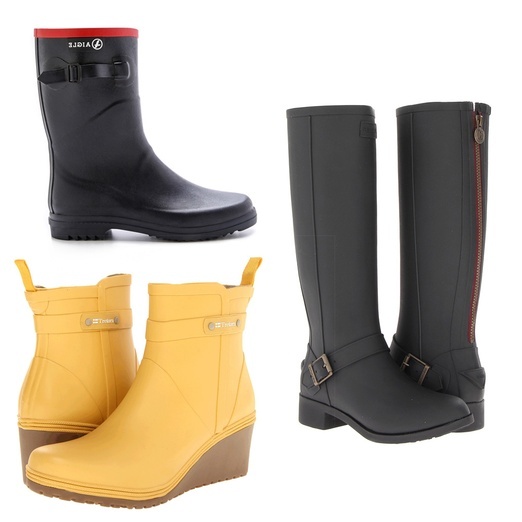 Rain boots keep water out and trap water in…they are designed to be impermeable by water. So, if you aren’t wearing socks and get water in your wellies, you’ll be sloshing around all day and may come home with a case of food fungus also. And never leave your wet socks in the boots to dry, that will most certainly cause mold and mildew to grow, not to mention leave you with one precious smelling pair of boots. 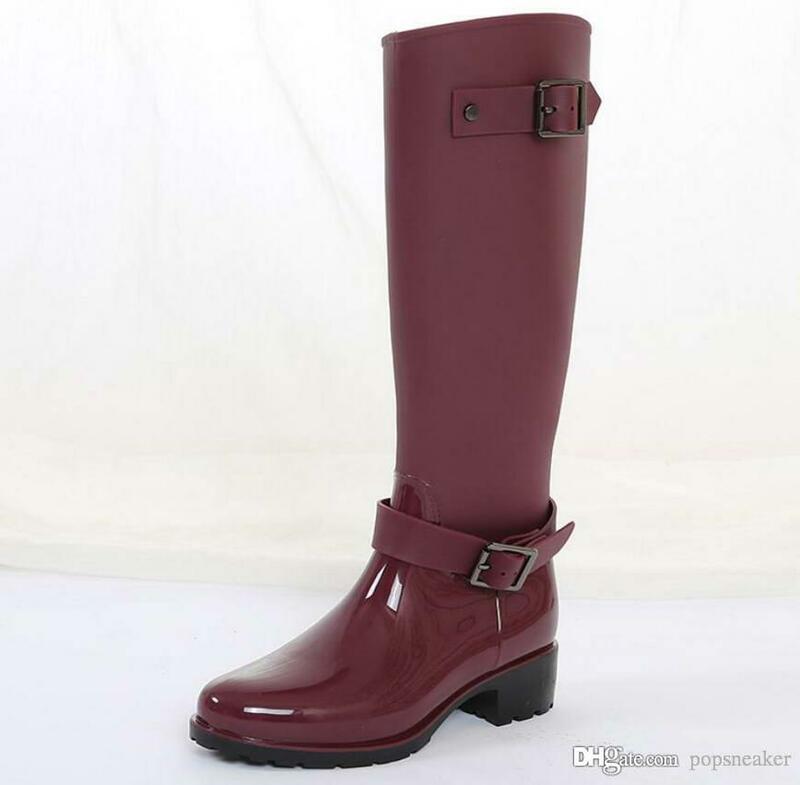 Hunter boots are lined with Nylon and do take a period of time to dry. If yours are soaked, they need to be aired out and dried. Do this in a cool, dry environment and give ample time for this to occur, likely 24-48 hours. 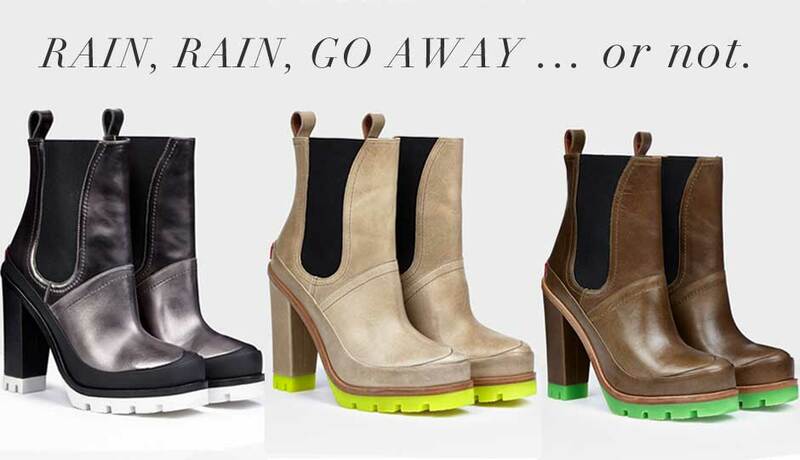 Good things (like dry, non-moldy boots) come to those who wait. What you can do to absorb moisture and help with drying and odour removal is crumple up a bunch of newspaper and stuff the boots (kind of like when you try shoes on and you have to take out giant wads of paper from the shoes). People say this works very well. I have not had the opportunity to test it out yet since I’ve only recently gotten mine and haven’t soaked them yet, but this makes sense to me and I would try it when this does inevitably happen to me. From time to time, you can lightly mist vinegar and water (a 50/50 solution) into the boot to kill odours and clean the lining. Once the interior is misted, take a cloth and wipe out the interior, focussing on the toe and heel areas specifically. Let the boots dry in a cool and dry place for 24-48 hours. If you are concerned about vinegar stanking up your boots, don’t. The smell of vinegar dissipates quickly and never returns to haunt you. 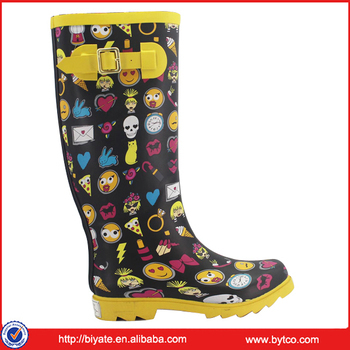 Keep the boots in a cool, dry area which is not located close to an area of extreme cold, heat or sunlight. Always store boots upright, don’t fold or crease them. If you wish, rill up a couple of old magazines and use those to retain the shape of the boot and help them stand up. Cool and dry is so important because anything but these conditions can lead to mold and mildew growth in the boots which lead to odors and discoloration (read: boots are unwearable). If you want to get crafty, you can make odour and moisture absorbing sachets to toss in your boots when they are drying out. You can fill the sachets with cedar chips (which keep mold away and smell terrif), or rice (which is cheap and amazing at absorbing moisture) or even placing a couple of silica packets in the boots. So friends, that’s how to keep your wellies clean, dry and gorgeous for ever and ever. Post your questions, pictures and experiences below!